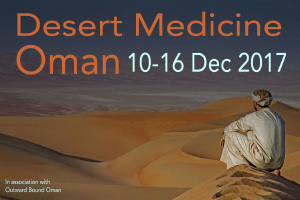 So far oman has created 9 blog entries. Under the auspices of His Highness Sayyid Haitham Al Said, Minister of Heritage and Culture, and in the presence of His Highness Sayyid Faisal Bin Turki Al Said, Patron of Outward Bound Oman, His Excellency Sheikh Mohammed bin Said bin Saif al Kalbani, Minister of Social Development, and His Excellency Hamish Cowell, British Ambassador to Oman, and other VIP guests and supporters, Outward Bound Oman’s first national training centre was formally opened in the Sharqiya Sands. 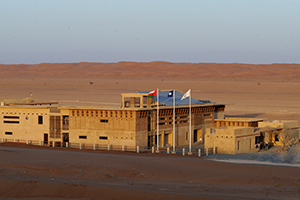 Designed by local design consultants 23 Degrees North, the centre makes substantial use of solar energy, treats and re-uses all water on site, and has already been nominated for and, received several design awards. 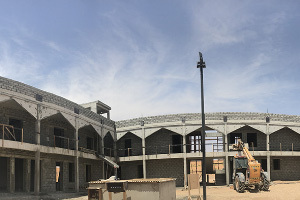 Located within the centre are equipment stores, two indoor training rooms, sleeping accommodation for 60 people, four learning pods, a majlis, prayer rooms and a lecture theatre. The centre is the first of three that will be built in the next two years, with construction of the second due to begin in Muscat later this month. 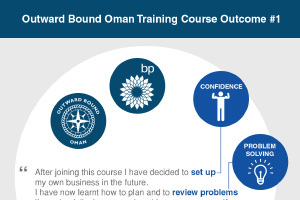 BP has been active in Oman for many years, and has been an equally active supporter of Outward Bound Oman, empowering and enabling large numbers of Omani youth to take part in our Skills for Life and Next Generation courses. 2017 is a key year of celebration and achievement for BP, as the first gas is due to come on stream from their enormous Khazzan project. Also celebrating recently was Nasser Al Farsi, a student who took part in a BP funded course, and who was clearly inspired by the experience to set himself ambitious goals for the future. Oman’s first purpose built centre for outdoor learning is on track for completion in August 2017. 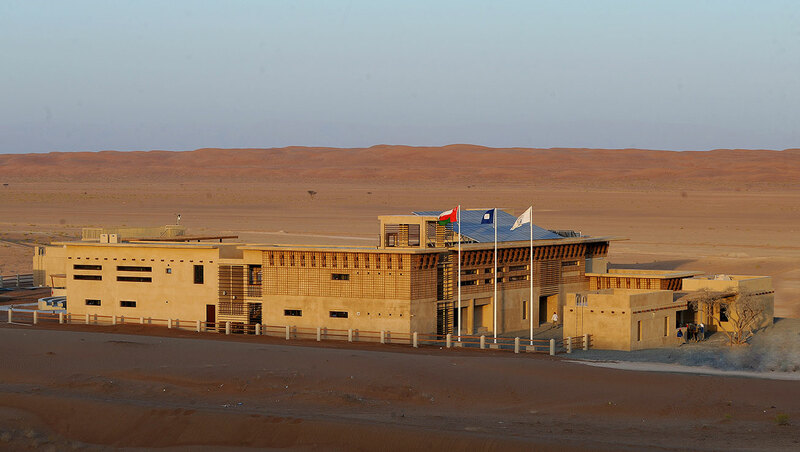 Occupying a site of more than 5,000 square metres, and located in the Sharqiya Sands less than a two-hour drive from Muscat, the centre will be one of the first buildings in Oman to run entirely off solar energy. It will consist of equipment stores, AV rooms and learning pods, two classrooms for environmental field research, and accommodation for 60 people. There will be a formal VIP opening of the centre in October 2017, and the first courses have already been booked! One of the key pillars of Outward Bound is serving others, and putting and thinking of others, before self. That spirit is captured beautifully by Mohamed Al Touqi, one of our instructors here at Outward Bound Oman. 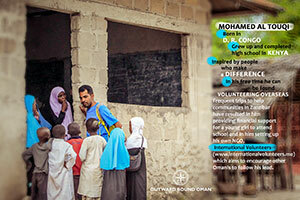 Inspired by volunteering himself with various charities, Mohamed has recently set up his own NGO that focuses on getting more young people in Oman engaged in voluntary, community service. Kurt Hahn, the founder of Outward Bound, would have approved.